1. The world spends $10 billion annually on scientific publishing. 2. Most scientific papers are only accessible with subscription, which means they are only accessible to academia and large companies in countries with a large per capita GDP. The papers are not accessible to the tax payers who paid for the research and the university subscriptions, nor to small and medium-sized companies. 4. The increased price is not due to increased costs on the side of the publishers, but rather to their aggressive negotiation tactics, leading to profit margins unheard of in any other business. 5. Pushback during price-negotiations with publishers in the EU has resulted in the publishers denying access to their journals in several countries, as a negotiation tactic. This includes access to past issues. We can't do anything about it because they own the papers. They own the papers because scientists signed away their copyright. I believe this is an untenable situation. Who's going to do anything about it? 6. Publishers are obviously not going to do anything about it on their own accord. 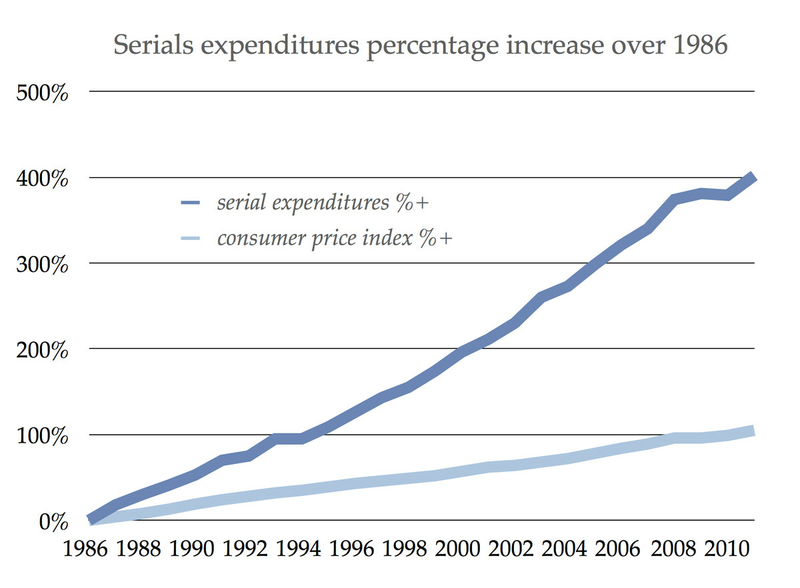 Any company would fight to preserve these profit margins, and they do. 7. Scientific societies are not going to do anything about it. Scientific societies derive the bulk of their income from subscriptions and are every bit as ruthless in their negotiations on subscription price as commercial publishers. For all intends-and-purposes they are publishers first, societies second. 8. By-and-large (one notable exception is PLoS) scientists haven’t done anything about it either. In my experience, scientists are first on foremost focussed on career advancement and competition for research funds and don't think about the (rising) cost of publishing. 9. Now it seems some EU funders are finally trying to do something about it with Plan S. Plan S is designed to bring about change in the current system. Unless something changes within the next 2-3 years researchers would not be able to publish work funded by some EU-based funding agencies in most, but not all, "good" journals. So your colleagues who are not funded by some EU-based funding agencies publish in "good" journals and get all the recognition. As a result you may not get promoted or get new grants. It's an unlikely scenario but if this does happen remember that your colleagues, who decide on your promotion or that you are competing against for funds, are in exactly the same boat. Another worry is that people won't want to collaborate with you because you can't publish together in "good" journals. In my experience, this is not how scientific collaborations work, but if you do happen to meet such a potential collaborator my advice would be to avoid them at all cost. If all the "good" journals change to Gold OA in response to Plan S, then people without funding who can't pay the APC won't be able to publish in "good" journals. This is also an unlikely scenario, but if it does happen society would spend considerably less on subscription fees that could be used to pay APCs. Notice that Plan S calls for a APC-cap, meaning that Plan S-friendly journal should be affordable. Remember that the current APCs are designed to maintain a very large profit margin for the publishers, so there is plenty of "fat" to trim. Finally, APCs are tied to volume. If the number of submissions increase the cost of each individual paper decreases. Plan S will be (sadly) softened a little. Some "good" journals will change to comply with the final version of Plan S, some won't, and some new journals will spring up. Some researchers won't be able to publish some of their work in some of their favorit "good" journals and will have to find a new favorit for some of their papers. Your colleagues are in the same boat, so it won't have much effect on either career advancements nor funding success rate. The world of scientific publishing may become a little bit less ridiculous but not thanks to us scientists. I view Plan S as a signal to the publishers for the next round of negotiations. We pay the bills and this is how we would like it. It's not an unreasonable position at all. Something does not need to change. Publisher will fight this tooth and nail and their main argument will be that scientists say it will be bad for science. Sadly, many scientists are saying just that. However, the main worry of the publishers is their profit margin and the main worry of the scientists is, I believe, their careers. The only thing they have in common is a fear of change.